Les Enfants offers an infant/toddler program and preschool setting where children are able to be creative, explore and, most importantly, play in a supportive environment. 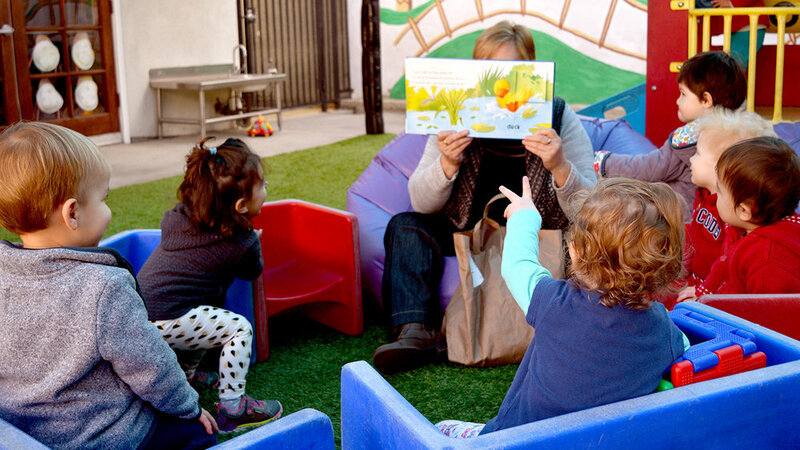 Established in 1989, Les Enfants has provided early education and childcare in a professional and loving manner to children and families on the Westside for more than 25 years. Les Enfants is located in a warm and charming state-of the-art facility that opened in 1999. Serving infants through pre-kindergarten, Les Enfants upholds standards of excellence in program development, child-care staff selection, teacher incentive programs and parent rapport. The best way to learn about our program, philosophy and facility is to schedule a personal tour where you will be able to observe our teachers and staff and ask questions. Please call 310 315 0058 to make an appointment for a personal tour. Our goal as early childhood educators is to provide a warm, safe, loving environment for children where they can play and grow. We love answering your questions and have put together a list of popular questions and answers.